At a short Special General Meeting the new constitution was adopted. 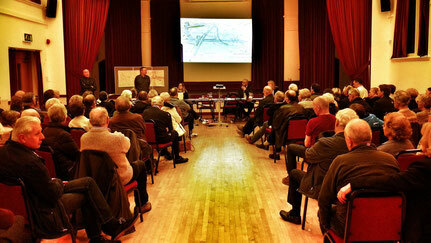 Victoria Woodall then led a talk entitled "HS2: what, when & how" with John Doidge and Ken Blanch. HS2 Engagement Officers Susan Bridges and Tahir Ahmed also attended, and took many questions from the floor. Many thanks to all who came and contributed to this very well-attended meeting. To download Vicky's slides, please click the button below.